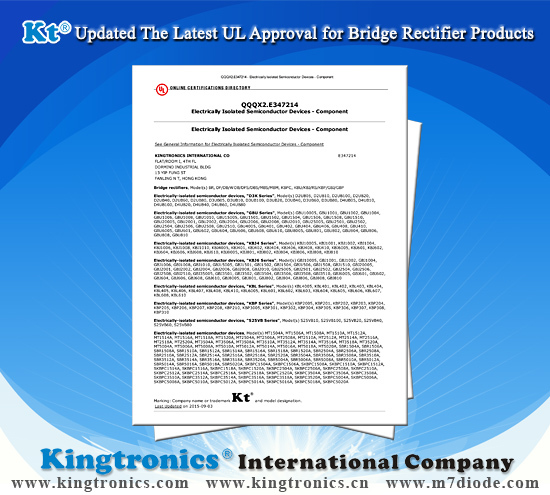 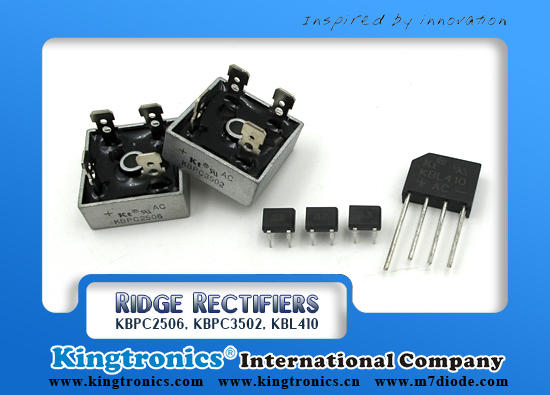 Kt Kingtronics is specialized in manufacturing all types of Bridge Rectifiers. 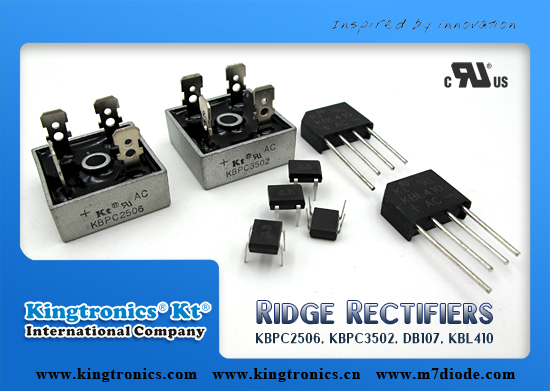 Bridge rectifier with excellent performance, high rectification efficiency, good stability. 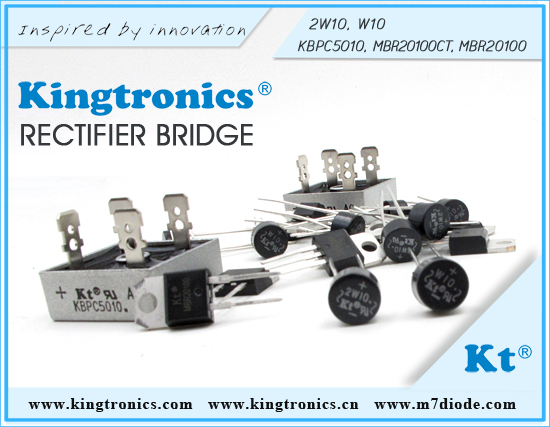 It is an arrangement of four or more diodes in a bridge circuit configuration which provides the same output polarity for either input polarity. 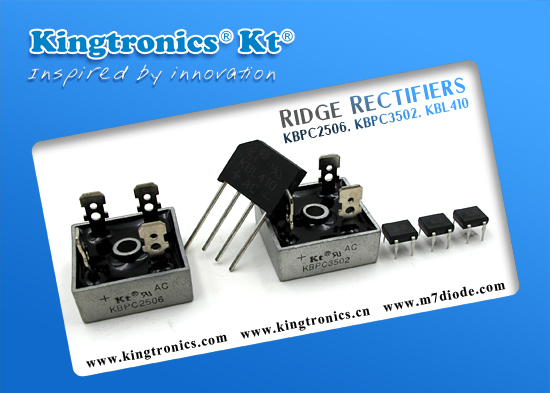 Its external insulation is made of plastic packages.